A similar theme can be seen in The Ballad of Peckham Rye, an area of suburban London that would seem the epitome of restrained respectability, but which is seething with trivial irregularities. These are exploited by the strange Scottish migrant Dougal Douglas, who may be a companion of the devil but is as vulnerable to petty menaces as all his victims. And in one of her last books, Aiding and Abetting, based on the celebrated case of Lord Lucan, who vanished after evidently trying to murder his wife and killing the poor nanny instead, she explores again the horrendous impact of evil intentions, however trivial they might be. Spark was however capable of working on much softer subjects too, as in to my mind the most lovable of her books, The Girls of Slender Means. Set in a hostel for relatively poor but genteel young ladies, with additional perspectives based on the death twenty years later of a man who had affected them in those impressionable years, it creates a vivid sense of the vulnerability of the young, enhanced when perhaps the most vibrant of them dies suddenly in a fire, after having survived the bombing and other risks of the blitz. Death then is almost always present in Spark’s books, ensuring that the often ebullient humour can never be totally enjoyed. But the one exception I recall to what might be termed the broodingly dark comedy of her work is also her most memorable novel. I refer to The Prime of Miss Jean Brodie, which was filmed in the sixties with Maggie Smith in the title role. The book was set in an elegant girls school in Edinburgh, where Miss Jean Brodie, who considered herself in her prime, was determined to influence the ideas and lives of a group of girls entrusted to her care when they were ten. She herself is pursued by two fellow teachers, one a married Catholic whom she loves, and another an unmarried man she does not love, but with whom she has an affair. The intellectual liberation her fresh approach has brought to her girls is complicated as they grow older by her desire to also guide them into sexual adventures. To her disappointment it is not the pretty one who has an affair with the man she herself loves, but her principal protégé, Sandy, who finds she is increasingly resentful of Miss Brodie’s commanding influence. She ends up betraying her to the headmistress who has been anxious for some time to get rid of an influence she considers pernicious. The reason is not however sexual impropriety, but Miss Brodie’s politics, in that she had encouraged one of her students to go off to Spain to fight on behalf of the Fascists, and the girl had died there. Miss Brodie loses her job and is crushed, while Sandy becomes a Catholic and ends up as a nun, admitting when she gains some fame as a psychologist that perhaps the greatest influence on her was Jean Brodie. Maggie Smith’s performance as Jean Brodie was magnificient, and created an impression of elegant Edinburgh society, with its strangely accented English, that was used for a couple of decades afterwards to tease inhabitants of that city. But the overwhelming image of a dominant teacher did not take away from the other aspect of the story, the growing up of independent consciousnesses, their alliances and their rivalries, the compulsions of sexual desire and ambitions, the two not always the same. 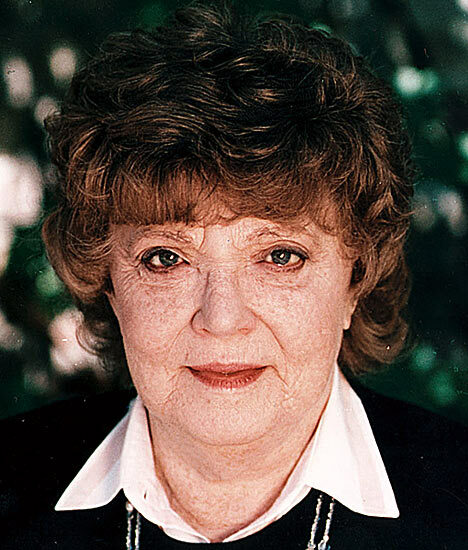 Despite her reputation as the chronicler of Edinburgh, Muriel Spark as noted spent hardly any time there, and indeed moved away from England after she had established herself as a novelist. She lived much of her life in Italy, where she was associated with another writer who had left home, the equally acid and entertaining American, Gore Vidal. He was a standard bearer for homosexuality, whereas Spark denied allegations of lesbianism, caused by her having an American artist as her companion. She did however leave her all her estate, cutting off the son she had hardly known, even though he had been looked after by her parents and she had contributed to his support. They had fought conclusively when he tried to assert a Jewish heritage, whereas Spark, though her father was Jewish, had emphasized her mother’s Christianity. All this suggests a soul that was not at rest, which perhaps explains the fractured nature of the books. It also perhaps explains the clinging to Catholicism, even though it is treated in her work with levity as to its trappings. And this last may explain why there is a sense, in spite of the extraordinary range of characters and situations, of a wholeness about the vision in her work, a vision of interactions that can always turn sour but which can be saved through grace and personal commitment.